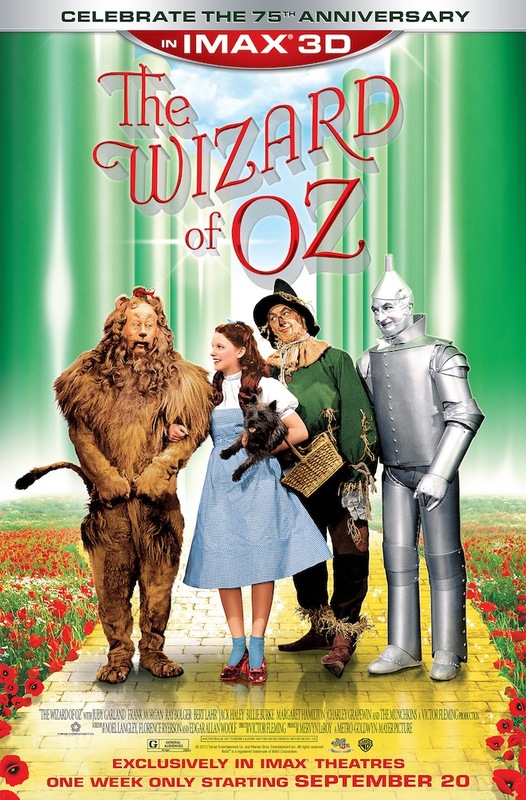 The weeklong showings of the IMAX 3D version of The Wizard of Oz are just around the corner. Below is a complete list from Warner Bros. listing all of the IMAX theaters that will show this special edition i the United States and Canada. The list is sorted by State/Province then City. Thank you Sharon of The Curiozity Corner for providing this list! Not all IMAX theaters have tickets for sale yet. Check out the websites for the IMAX theaters near you on a regular basis so you can get your tickets as soon as they’re available. The film has already started in Australia, and early reports are very positive. One viewer noted that the 3D effects are subtle and not “in your face” as many might assume. The 3D enhances rather than deflects from the imagery and magic of the film. Try to see this if you can. Any chance to see Oz on the big screen is worth it. It’s so much better than even Blu-ray on an HDTV – and that’s pretty amazing in itself! with this. Additionally, the blog loads very fast for me on Opera. Thank you so much! My intent was just that, to make it easy to read and navigate. I’m glad that it’s working out. Have a wonderful New Year! Holy cow, thank you so much for posting this! It’s gonna help when I am thinking about going to Regal Spokane Valley 12 in Spokane! I am from Syracuse so I am not familiar with Spokane. Next time I visit my family will be so much better! Super Cool!